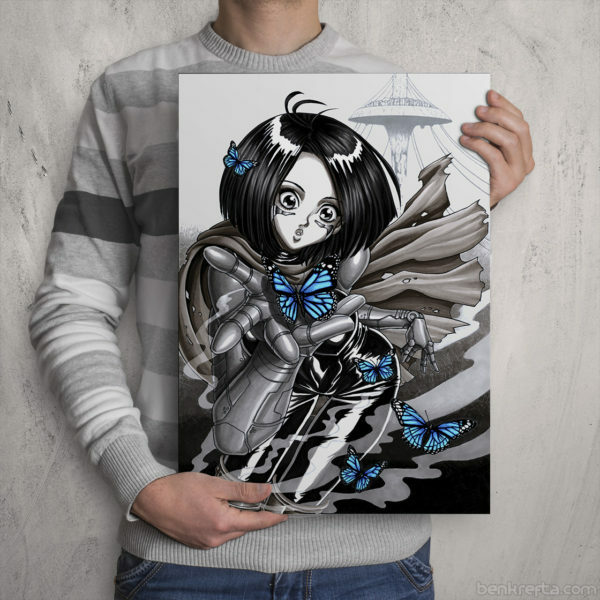 “Alita/ Gally conquers her fears”. 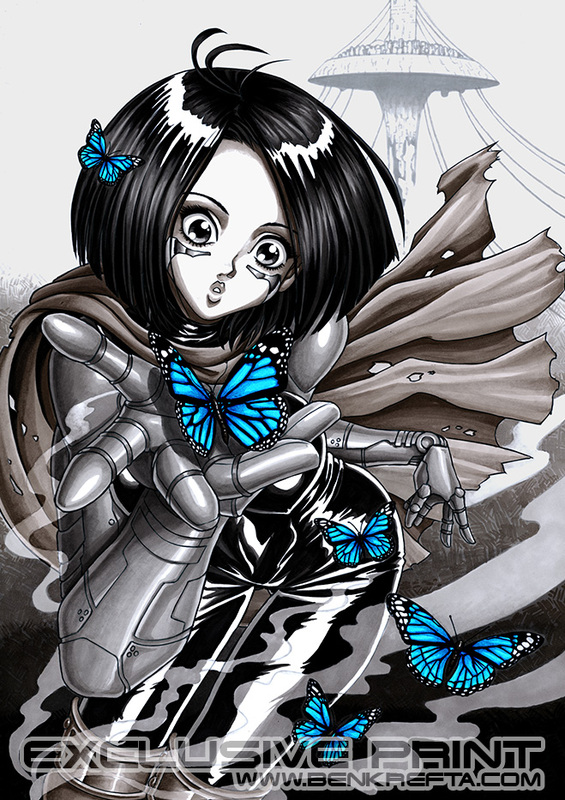 From the manga and anime ‘Gunnm’ / ‘Battle angel Alita’. 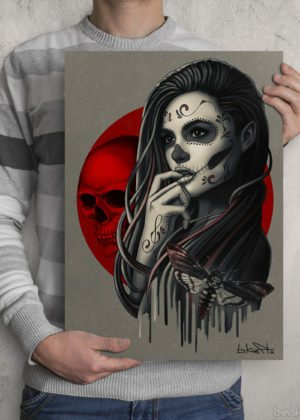 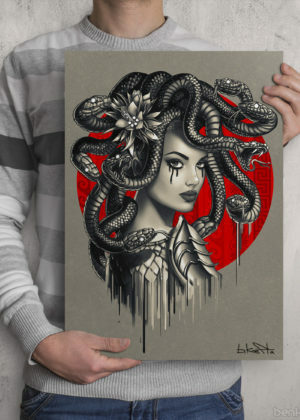 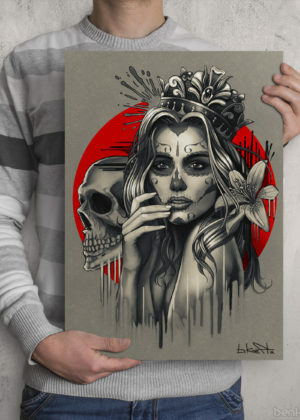 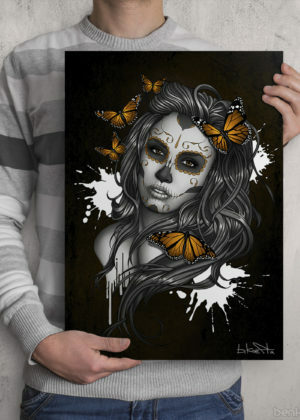 Illustration print by Ben Krefta. This is a small print run item only available at conventions and this store. 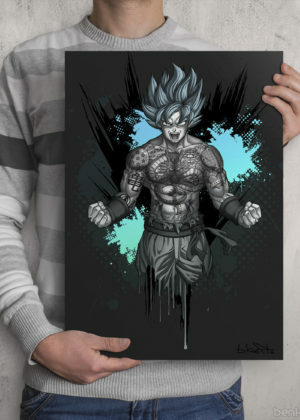 What an amazing piece of artwork. 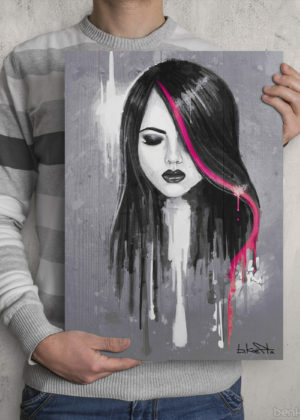 The seller was very fast and super friendly.